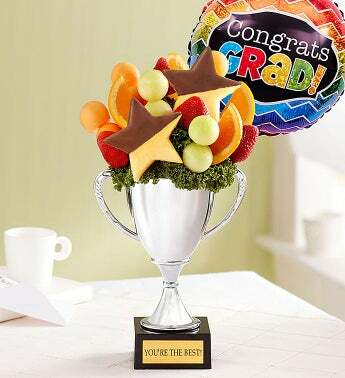 We've got the sweetest way to congratulate a superstar grad! Our delicious fruit creation features juicy pineapple stars dipped in rich chocolate together with plump strawberries, mouthwatering melon and more! 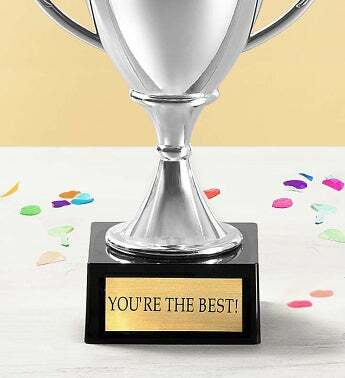 It’s all arranged in our festive trophy container with a plaque that reads, You’re The Best! Add a festive balloon to top it all off and it’s a fruity fun treat that will let them know the sky’s the limit.